It’s no secret that I love thrifting – I love the thrill of finding something amazing (or something ugly that could be amazing) in a pile of what can often sometimes be described as junk. I find however that in Toronto it’s hard to find that amazing score – I don’t know if it’s because there are just so many others in town that have the same affinity for the hunt that I do or, if it’s just a case of luck not being on my side whenever I head to the local stores (which aren’t that local when you don’t have a car). In August I visited my parents in BC and on a couple of occasions my mom and I went out to explore the local second-hand stores. They live in a small-ish town that has what seems to be a larger number of thrift stores in comparison to Toronto. It may be the demographics are different – there is a large retiree population, but they also have a number of stores which are run in benefit of local charities like the Hospital Auxiliary and the Woman’s shelter which I haven’t seen here (I’m sure they exist – I just haven’t found them). I don’t know what it was on this trip, but I found a number of great pieces. So many I had to get creative when packing to get them back to Toronto. 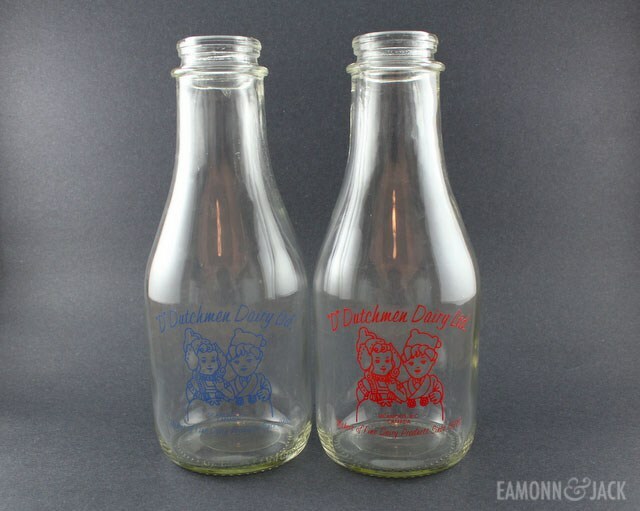 I finally found some milk bottles – these are originally from The Dutchmen Dairy in Sicamous, BC, which is, according to my mom, a mandatory stop when traveling on the Trans-Canada highway. I’m not entirely sure if these are ‘vintage’ as apparently this dairy still sells milk in bottles, but they were just $2 each. 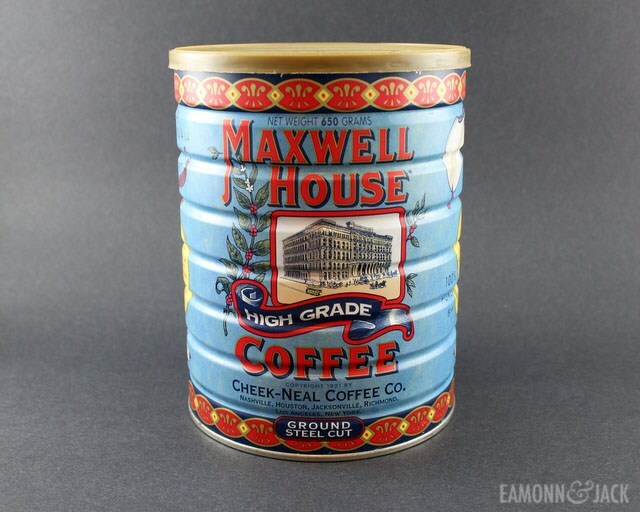 I’m sure this coffee can isn’t vintage, but for only $.50 I figured why not? It has the look and now I just need to figure out what to plant in it. 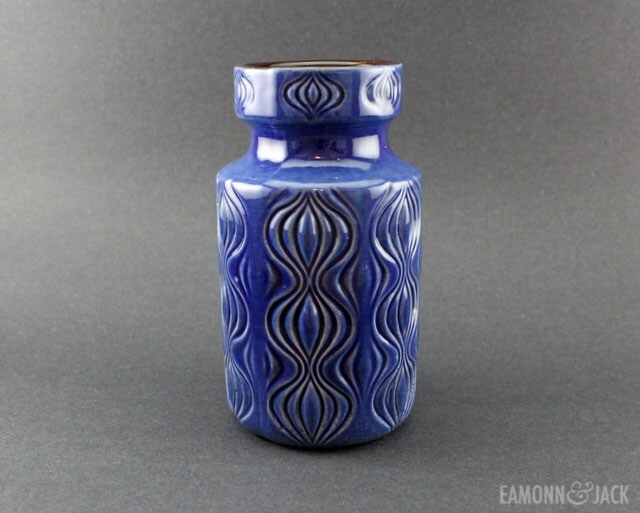 This little Scheurich ‘onion’ vase caught my eye for the vibrant colour and the MCM pattern. It was $8. Ever since I purchased my large Kaiser vase from the Junction flea a couple of years ago I've been on the lookout for more pieces. I did find one more small vase at the Aberfoyle antique market (I never shared it here, but it looks like this), but other than that I haven’t had any luck. 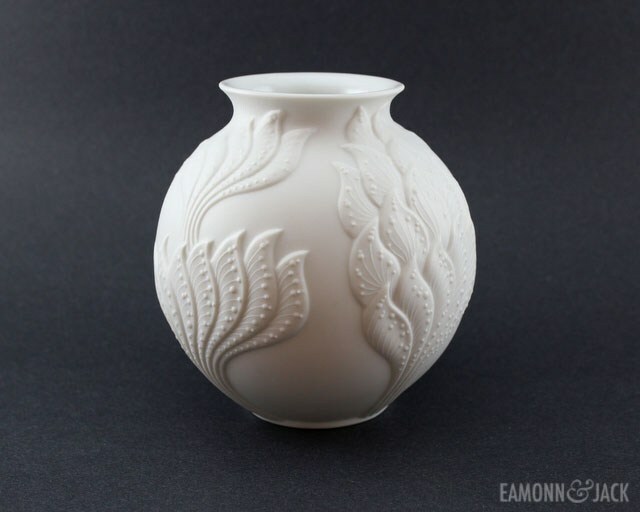 I love the matte white look of the pottery which I think is timeless (I love it so much I've even started a whole collection of MCM white vases on Etsy in case anyone wants to buy me one - ha!). Anyways, I was lucky enough to find two Kaiser vases in BC, so I've got the start of a little collection. The first round vase was $7 and the second, slightly larger vase, was an incredible $2. Does anyone else find a difference when thrifting in small towns vs. big cities? Or was I perhaps just lucky enough to be visiting when there was many great things for sale? I think the west coast, in general, has better thrifting. it's unfair! Especially the mid century goodies, it's all over there! Oooh - I like yours too! 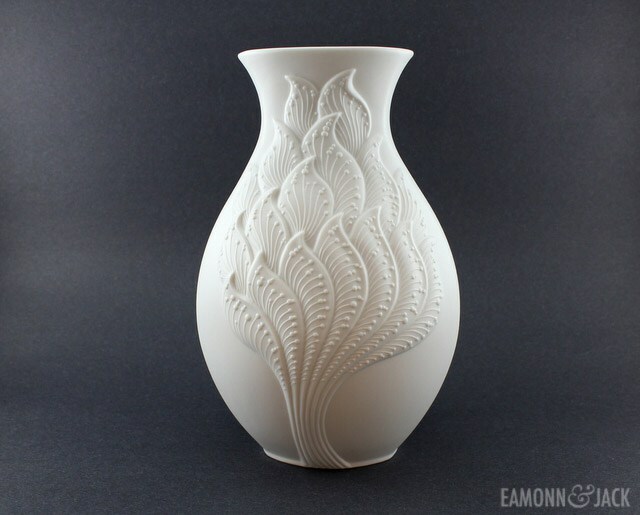 I have a Kaiser vase that I've stored away. I'll pull it out and give it to you. I come across them every now and again, so I'll grab them for you next time I spot one for dirt cheap. St. Jacobs antique malls have them, but I can't remember how much they're selling them for.